Boss Congratulating Employee With Career Promotion. Successful Deal. 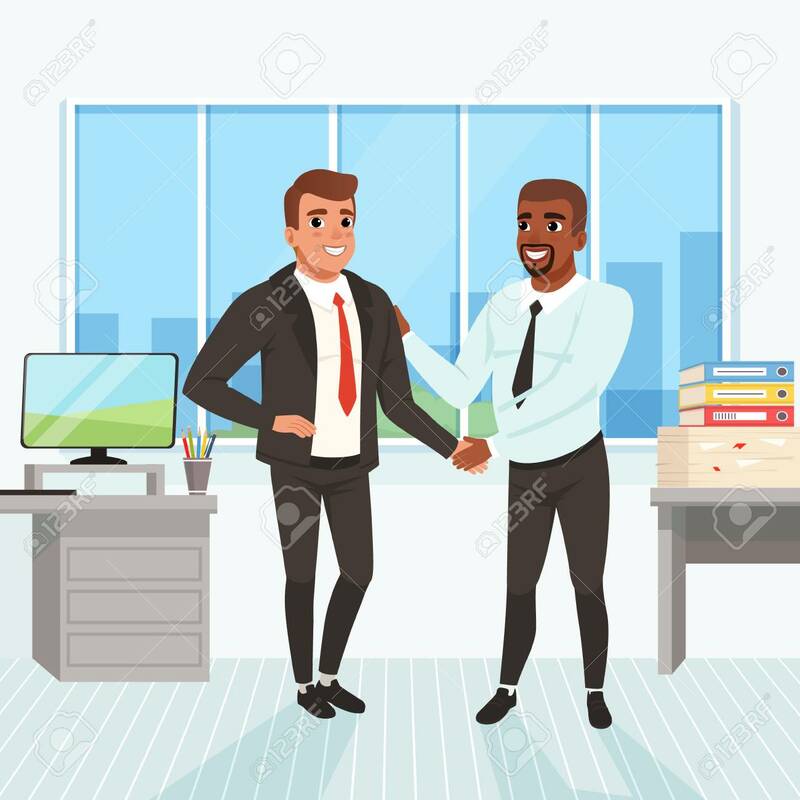 Business People Shaking Hands In Office. Window, Table, Monitor, Stack Of Paperwork And Folders On Background Lizenzfrei Nutzbare Vektorgrafiken, Clip Arts, Illustrationen. Image 119085012.